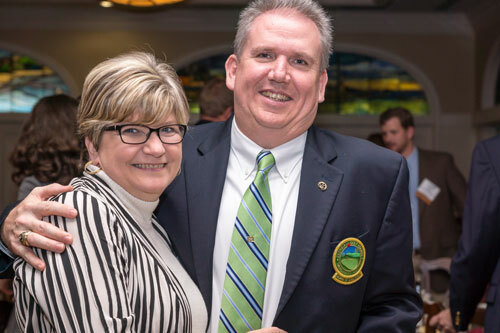 Golfdom would like to extend congratulations to Anthony Williams, CGCS, our Environmental Editor, who was honored with the Superintendent of the Year award from the Georgia Golf Course Superintendent Association. Williams, the director of grounds at Stone Mountain Golf Club by Marriott in Stone Mountain, Ga., was presented the award at the association’s annual awards banquet and called it “the highlight” of his career. He is a past-president of the association and has sat on their board of directors since 2001. Williams’ achievements have also reached a national scale. The Golf Course Superintendents Association of America recognized him with their 2014 Excellence in Government Relations Award and the 2010 President’s Award for Environmental Stewardship. In 2006, GCSAA and Golf Digest named him the overall winner of the Environmental Leaders in Golf Awards. Simply attending the ceremony was a goal for Williams after losing his older brother to a heart attack in August and then the following month his wife, Phyllis, suffering a major heart attack. Just 18 days later, Williams himself collapsed and required emergency surgery to replace an aortic valve and repair an aneurysm.